DIEGO REY was born in Barcelona in 1972. He starts in the music world at the age of 16 years at which time begins studying classical guitar at the conservatory, at the same time he wrote his firsts songs. 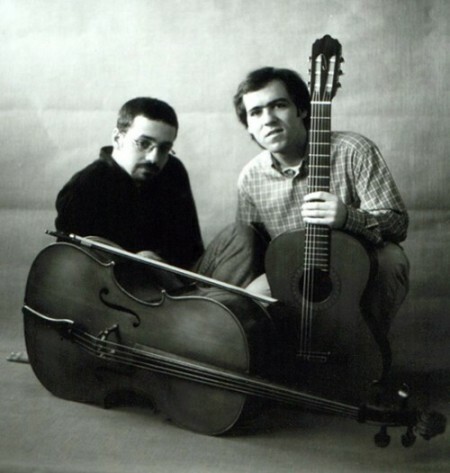 In the early nineties Diego Rey made his first recitals in his hometown, accompanyed at that time by the cellist Jordi Ruiz. Smalls bars and cafes from Barcelona (café-teatre Llantiol, Ismes café, la Rosa de Foc…) are the stages to present those young songs, influenced by artists such as Luis Eduardo Aute, J. M. Serrat and Silvio Rodríguez, among others. 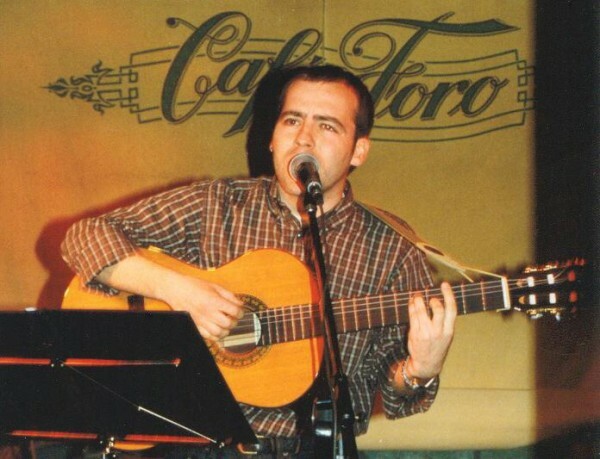 In 1995 joins the songwriters workshop “la revuelta”, with the artists Gabriel Maugeri, Nelson Poblete and Carlos Rodríguez, an experience that lets him bring his songs to some of the major cities of Spain, in various performances undertaken by the group. 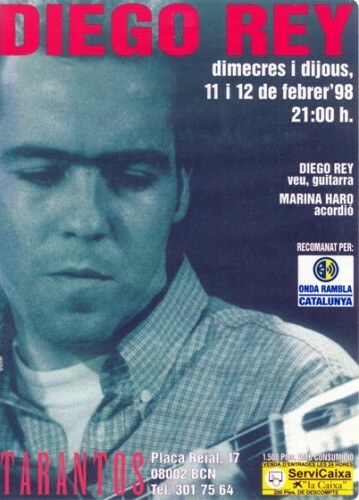 In the summer of 1997 he recorded his first album with PDI, entitled “… desde el silencio”, whose presentation was done in the concert hall Tarantos of Barcelona on 11 and 12 February 1998. In the same year he moved to Madrid, where he seeks to broaden horizons. Gradually he joined the cafe-concerts circuit city (El Buho Real, La Ofrenda Musical, El Café del Foro, etc..) he performs in cultural centers and participates in songwriting contests. 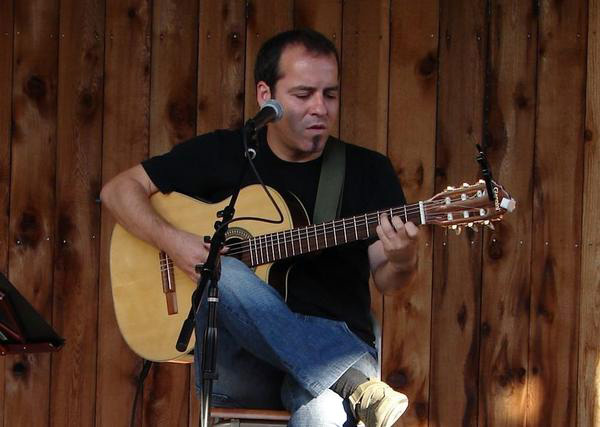 In February 2000 he participates in the cycle “cantando a la luz de la luna” organized by the CCOO, in the Ateneo Cultural 1º Mayo and in November of that year, Diego Rey shares the stage (opening the concert) with the singer Jose Antonio Labordeta, a recital scheduled as part of the singer-songwriter cycle, which organizes the “Casa de la Cultura del Ayuntamiento de Tres Cantos”. During this period, Diego Rey combines recitals with the production, this time on his own, of a new collection of songs under the title “de amor y de ausencias”. The recording is completed in the summer of 2002 in the studios “EQ estudis” of Barcelona. After years of inactivity, in 2006 returns to Barcelona, where he takes up again the music and in his own studio he records a new CD entitled “el camino de los sueños” (2007). In this year, a personal journey that leads him to the city of Austin (Texas), gives him the opportunity to offer a series of recitals in various cafes in town, where his music is well received and sells his albums successfully. When he returns from the U.S., in 2008, he plays again in the circuit of cafes and bars from Barcelona y Madrid, and he throws into the production and recording of which is his fourth work from studio “cajas de alas” (2010). In early 2010 he travels to Prague to give a series of concerts, and soon after goes to live to Berlin. Months later, plays regularly in some bars, clubs and halls in the German capital and also bring closer his music to other cities of the country like Kassel, Lingen, Heidelberg or Basdorf. Precisely in Basdorf he is invited to the Festival Georges Brassens in the editions 2012 and 2013. In the summer of 2013 releases his fifth album entitled “sin patria ni dueño”.